LUMINA transcends geography, form and theme. LUMINA, comprised of Lumina journal, La Lengua and Firefly podcast, is a collaborative literary community. Our current season of Vol. XVIII seeks Fiction, Poetry and Nonfiction pieces that break the literary rules. Experimentation is not just a phase. LUMINA seeks to give space to voices unheard; voices that look at not just the heart, but the kidney and bowel, of humanity in uncanny and beautiful ways. LUMINA Journal, as ever, is a reflection of the Sarah Lawrence College community; a creative cohort of progression, diversity and creative experimentation. All work welcome. Chelsea Asher is a writer of the weird and the uncomfortable, with a collection largely featured in her Google docs. She is currently underway with her MFA in Writing at Sarah Lawrence College, where she is also Editor-in-chief of Lumina literary journal. When she’s not being a writer and a student, she’s a teacher of writing and theatrics in schools across the city. Qassye M. Hall is a MFA Candidate at Sarah Lawrence College who writes Fiction and Creative Non-Fiction. Even though she is in constant shock of how much she has accomplished in her life, she will do anything to help change the world. Her work has appeared in The Scarlett Leaf Review, Nebo: a Literary Journal, Five Cent Cigar, and a few other magazines. Parks Kugle writes in a variety of styles, including fantasy, magical realism, and historical fiction. He has lived in Austin and New Orleans where he has worked for media companies and non-profits. In New Orleans, he edited and published a small ‘zine titled Provocative. He is in the process of redrafting his first novel. He lives in the Bronx. Jon Hoel is a poet from New England, living in the Bronx. He studied Journalism at the Massachusetts College of Liberal Arts in the Berkshires. He's published poems and essays in various journals and is releasing a book of essays on poetic cinema and Andrei Tarkovsky next year, via Columbia University Press. Brynn is a poet, queer rights activist, and collector of street-sounds from Iowa City, Iowa. Her work has appeared in Iowa’s Best Emerging Poets, GO, INK LIT MAG, The Paha Review, and Little Village. She graduated from The University of Iowa and is currently pursuing her M.F.A. in Writing from Sarah Lawrence College. Brittany graduated from Elon University with a BA in English and is now a first year in Sarah Lawrence’s MFA Writing program. In the past, she served as the poetry editor and public relations manager for the undergraduate journal, Colonnades. Her poetry has found homes in Colonnades, Visions, and Asterism, with pieces forthcoming in Red Queen Magazine and The Anatomy of Desire. In addition to writing, she enjoys exploring new places where she can hang her hammock, eating at local hole-in-the-wall restaurants, and attending concerts. Jancie is from Montréal, Quebec. She received her BFA in Film Production from Concordia University. She is now a first year Nonfiction MFA candidate at Sarah Lawrence College. Nicole Flippo has a BFA in Dramatic Writing from New York University’s Tisch School of the Arts. In her work, she hopes to do justice to Native American, feminist and LGBTQIA+ topics. Originally from Oklahoma, she has an ongoing obsession with the panhandle region and its history. As an avid fangirl, she is fascinated by the myriad of ways women engage with existing media, particularly through fanfiction. She spends her free time hiking and preparing for the zombie apocalypse. Currently, she is pursuing an MFA in Writing with a focus in Speculative Fiction from Sarah Lawrence College. She is especially thrilled to highlight the work of fellow writers as a member of LUMINA’S editorial staff! Joanna Bettelheim earned her BA from Sarah Lawrence College in 2009. She now works for the College in the Office of Alumni Relations while pursuing her MFA in Nonfiction Writing. She served as Marketing Assistant for LUMINA Volume XVI and Marketing Director for Volume XVII. Her work has previously appeared in Exposition Review's Flash 405 and Breadcrumbs Magazine. She is an editor and contributor for Moon-Birds. 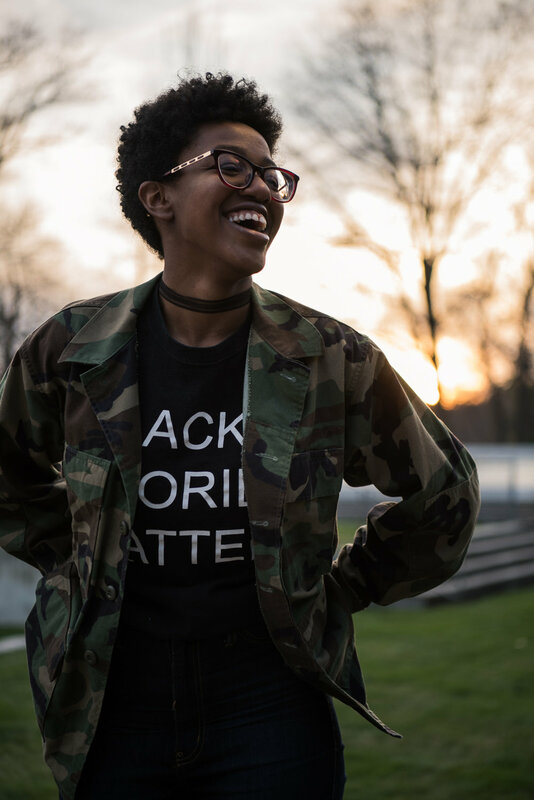 Arriel Vinson is an Indiana native who writes about being young, black, and in search of freedom. She is an MFA Fiction candidate at Sarah Lawrence College and received a B.A. in Journalism from Indiana University. Her poetry has appeared or is forthcoming in [PANK] Magazine, HeART Journal Online, and also won third place prize in LUMINA Journal, judged by Donika Kelly. Her fiction has been featured in Lunch Ticket. The most famous storyteller you've never heard of...and what's more important than fame? Hello! I’m Chris Rowland. I grew up about 15 minutes from Sarah Lawrence. Currently, I live in Los Angeles, but I'm excited to be back in Westchester – for two years at least. Since graduating from Cornell in 2007, I have worked in finance, sales, and marketing and have found a way to incorporate all of my corporate experiences in my writing, often in a humorous way. I’m looking forward to joining the LUMINA team this autumn! Rhea Dhanbhoora is a second-year Fiction candidate going back to full-time study after a seven-year stint at a media company. Back home in Bombay, her full-time job included editing and handling Features supplements for a daily newspaper, but her heart lies in creating and appreciating Fiction, with a little poetry on the side. Not counting a very brief spell selling homemade cakes, cookies, and sugarcraft models, she's worked for health portals, travel websites, a short film company, literary reviews, hotel and brand content, the blog section of a podcast and as a teenager had a collection of some people may call poetry published. Samantha Steiner is a first year MFA Candidate in Creative Nonfiction Writing at Sarah Lawrence College. After receiving her B.A. in Comparative Literature from Brown University, she taught English Literature in Northern Argentina as a Fulbright Scholar. As Assistant Editor of La Lengua, she aims to encourage writers of all language backgrounds to cherish and share their stories.